Marianne Faithfull is preparing to release a new album, Negative Capability on November 2. Along with production from PJ Harvey collaborator Rob Ellis and Warren Ellis of The Bad Seeds, (and a song co-written by Mark Lanegan), the album’s first single features Marianne dueting with Nick Cave. After writing lyrics inspired by A Midsummer Night’s Dream, Marianne says, “I asked Nick if he would put music to it and he wrote back saying, ‘I’m so busy.’ I said, ‘I understand, sorry to bother you.’ Then he just wrote back, ‘Thank you so much for understanding; here’s the song.’ It’s just gorgeous.” Listen to “The Gypsy Faerie Queen” below. Nick and Marianne have worked together before, most recently on Marianne’s 2014 album Give My Love To London. Before he heads out on a North and South American fall tour with The Bad Seeds (which an additional Texas date was just added to), Nick Cave is releasing an EP of audio from his concert film Distant Sky, which was recorded in 2017 and screened in theaters for a single night in April. 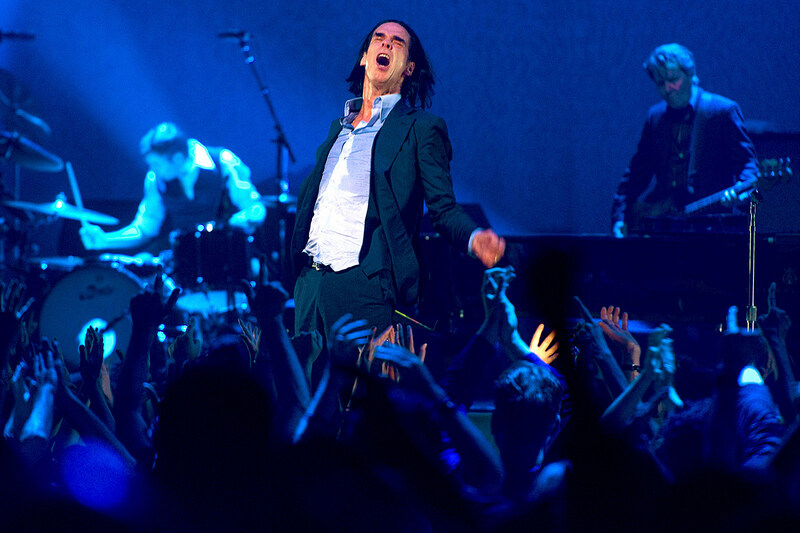 The Distant Sky – Nick Cave & The Bad Seeds Live in Copenhagen EP comes out on 12″ vinyl and digitally September 28, and you can see the tracklist below, and watch the video for the title track.